Steven Collins is a neurologist who is Director of the Australian National Creutzfeldt-Jakob Disease Registry (ANCJDR), as well as Professorial Fellow/Senior Principal Research Fellow in the Department of Medicine, the University of Melbourne and a National Health & Medical Research Council Practitioner Fellow. 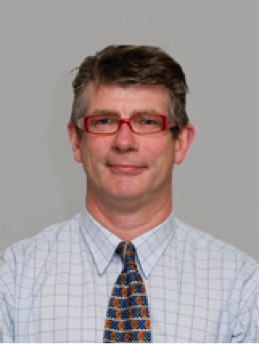 Professor Collins is also appointed to the Department of Clinical Neurosciences and Neurological Research, St Vincent’s Hospital, Melbourne, where he heads the Mitochondrial DNA Diagnostic Laboratory, a NATA accredited, national diagnostic referral laboratory. After graduating from the Faculty of Medicine, the University of Melbourne, in 1982, he undertook clinical neurological training in Melbourne and Adelaide before undertaking post-graduate research studies in mitochondrial diseases, followed by post-doctoral fellowships in clinical neurology at the Mayo Clinic, Rochester Minnesota and electromyography at the University of Western Ontario, London, Ontario. Stemming from his role as Director of the ANCJDR, he holds or has held membership in a number of national committees (most notably, the Transmissible Spongifrom Encephalopathy Advisory Committee) advising on a range of issues, including clinical and infection control matters for CJD and related disorders. The ANCJDR is the national referral service for diagnostic testing of prion diseases, including CSF for 14-3-3 proteins. Since 1997, Professor Collins has overseen, coordinated and represented the participation of the ANCJDR in a large international CJD surveillance consortium (EUROCJD). Through the ANCJDR Professor Collins undertakes both epidemiological and basic scientific research into prion diseases and supervises a number of post-doctoral fellows and PhD students. 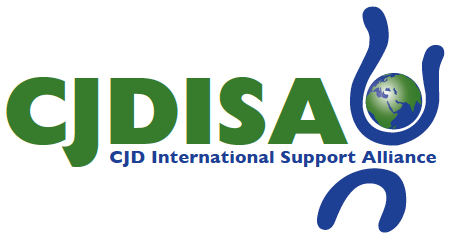 In 2008 Professor Collins became a member of the Friends and Advisory group of the CJD International Support Alliance and in 2009 he took on the role as Medical Director of the CJD Support Group Network assisting the network to support CJD families in Australia.